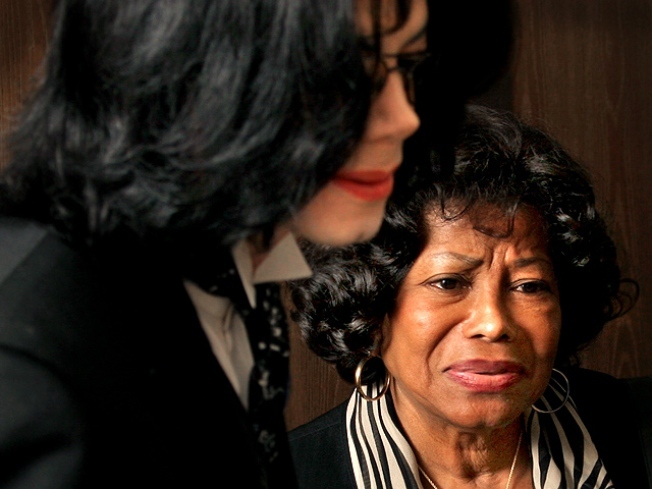 Katherine Jackson got permanent custody of the late singer's three kids. On Friday, reports surfaced suggesting that Katherine Jackson has been snubbed from the premiere of "This Is It," but it's not true according to a source at Sony Pictures, the studio behind the film. All of the Jackson family have been invited to the official Los Angeles premiere on October 27, a day before "This Is It" hits movie theaters, the source told Access Hollywood. And not only has Michael's mom been invited to the premiere, but CEO of AEG Live Randy Phillips said they are hoping to set up a private screening for the Jackson family. "We have an offer out to Katherine," Randy, whose organization was producing the "This Is It" tour, told Access on Thursday. "John McClain, who is one of the executors [of Michael's estate] and [is] close to the family, has approached them and as soon as they tell us when, we will set it up at the Sony lot." Randy said AEG Live has been working to arrange the screening for a while. "We're trying to get the family to come see it and we've been trying to arrange a screening for them," he said. "It's just hard getting them all together at the same time." In fact, Randy said AEG is already thinking about whether they need additional help on hand if Michael's three children – Prince Michael I, Paris and Blanket – are brought to see the film. "We want them to, but we made need to have grief counselors and stuff like that," Randy said.